Fracisco Realty & Investments would like to help you in all of your Real Estate transactions. We offer to our clients 68 years of experience in the local real estate marketplace including Residential, Commercial, Property Management, Land Investments and Ranch Properties. The Fracisco Realty family business was established by the late C.J. Fracisco in 1949 in Livermore, CA. and has continued its long term tradition of "Serving the Community with Honesty, Integrity, and Professionalism." Our company is focused on providing the best client experience with your real estate transaction. Fracisco Realty is licensed by the California Bureau of Real Estate and is Independently Owned and Operated in California. 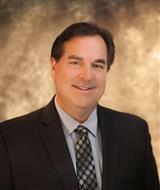 Mike is a third generation REALTOR® and a licensed Notary Public in California. Mike has 35 years of Sales and Marketing experience in the local community and is focused on exceeding the needs of his clients. Mike has an outstanding reputation as a knowledgeable and professional Realtor and is committed to representing his clients with honesty and integrity in each and every transaction. Mike is also very well versed on the local community including Schools, Neighborhoods, City Sport programs and Community events. Mike holds a B.S. Degree from San Jose State University and is a member of the National Association of Realtors, California Association of Realtors, Bay East Association of Realtors and Women's Council of Realtors.